This special 30th Anniversary Edition includes the original ten-track album, fully remastered and a complete live recording from the ‘Defenders’ tour, recorded at the Long Beach Arena in California on 5th May, 1984. The 21-track concert (split up over two discs) perfectly balances the then-new material from the group's ninth studio offering overall, including such classics as 'Metal Gods,' 'Breaking the Law,' 'Sinner,' 'Electric Eye,' 'The Green Manalishi (With the Two-Pronged Crown),' 'Victim of Changes,' and 'You’ve Got Another Thing Coming,' among many others. 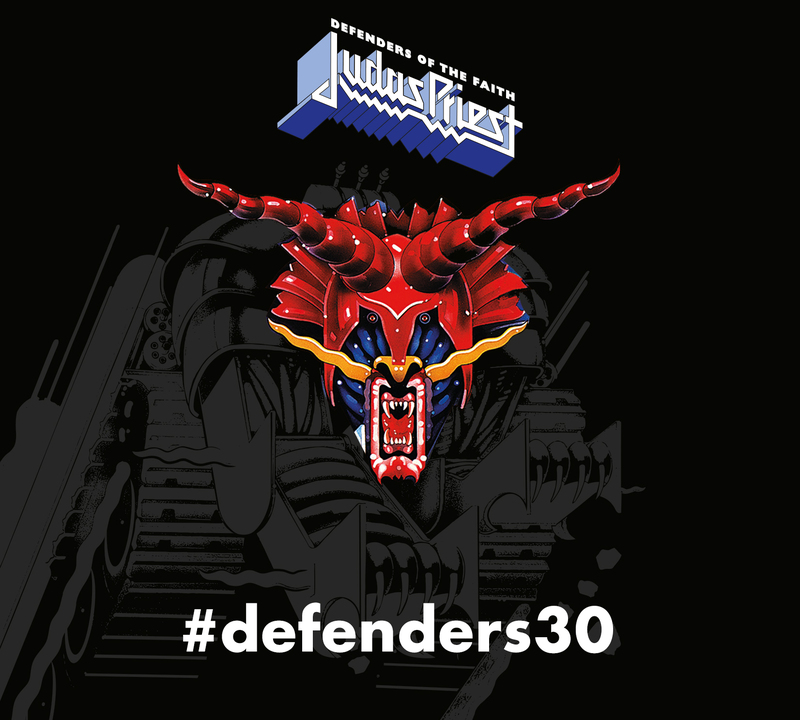 "It's 30 years since we released 'Defenders of the Faith' - we're very proud to say it has become a classic that's beloved by Priest fans throughout the world"
Judas Priest continues to 'defend the faith' to this day, as the group recently issued their seventeenth studio album, 'Redeemer of Souls,' which sees the band's popularity amongst metalheads remain as strong as ever, as it debuted higher than any other previous Priest release, hitting #1 in many countries. On the group's current tour, quite a few classics from 'Defenders' are being performed for the first time in years. Soon, fans will get a chance to re-experience vintage Judas Priest, with the 'Defenders of the Faith' reissue! Bah, l'audio recording de ce concert est dispo depuis des siècles en bootleg d'excellente qualité, si je ne m'abuse. Du cuir et des clous ! Ah cool, ça fait remonter des souvenirs à la surface! Zenith de Mars 1991. Tournée Painkiller, avec Pantera, un petit groupe qui montait, en première partie.